Enriched with softening and toning Red Vine and Carrot extracts, Sisley - Paris' foaming bath and shower gel will leave your skin feeling fresh and ultra smooth. This buttery formula has hints of German Chamomile to perfectly cleanse without any sign of dryness. 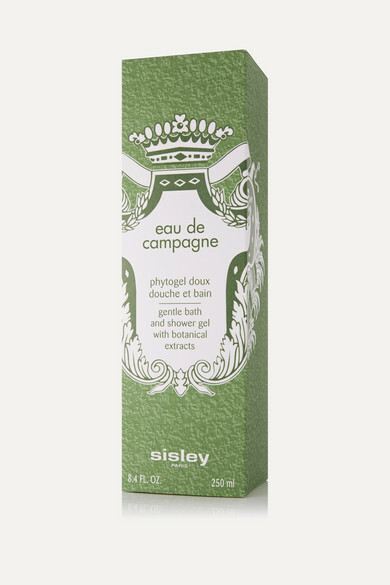 It's perfumed with the brand's 'Eau de Campagne' fragrance that leaves a bright, sparkling and elegant scent on the body.